The newly-formed National Testing Agency (NTA) has started the application process for the University Grants Commission National Eligibility Test (UGC-NET) on 1st March 2019. Candidates can apply through the official website - https://ntanet.nic.in/. The online UGC NET application process will continue till 30th March 2019. University Grants Commission National Eligibility Test (UGC-NET) was the first exam conducted under the newly formed National Testing Agency in December 2018. This national level exam is conducted for determining the eligibility of post-graduate candidates for the post of Assistant Professor and the award of Junior Research Fellowship. Candidates are advised to apply for the exam only through the official portal. Checking the eligibility requirements and getting the required documents ready are some of the essential pre-requisites for filling the application form. 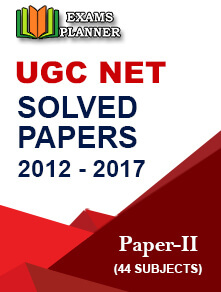 Here are the complete details on UGC NET 2019 June session application form filling process. UGC NET 2019 June session exam will be conducted on 20, 21, 24, 25, 26, 27 and 28 June 2019 by the National Testing Agency. Mode of the examination will be computer based. 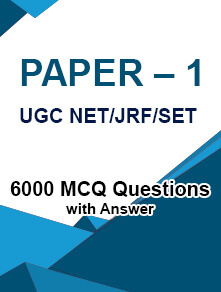 Till UGC NET July 2018, the exam was conducted through pen-and-paper mode. 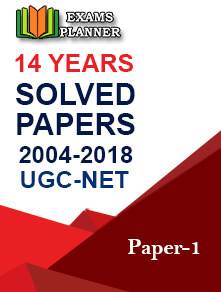 From UGC NET 2018 July session onwards, the exam pattern has changed. Paper-III has been removed. So, now the exam will have only two papers – Paper-I (General) and Paper-II (Subject paper). The age limit for the award of Junior Research Fellowship has been increased by 2 years. Thus, the upper age limit for the award of JRF is now 30 years. UGC has updated the syllabi for the National Eligibility Test (NET). The June 2019 exam will be based on the new syllabi. Scanned image of candidate’s passport size photograph in JPG/JPEG format. The size of the file should be between 10KB and 200KB. Scanned image of candidate’s signature in JPG/JPEG format. The size of the file should be between 4KB and 30KB. Debit Card/Credit Card/ Net-banking details for online fee payment. Click on ‘Fill Application Form – June 2019’ button on the home-page. Click on ‘Apply for UGC-NET June-2019’ button under ‘New Candidate Registration’ section. Read the instructions, tick the check-box and click on ‘Proceed to Apply Online’ button. Fill the authentication form where you are required to fill your ID card details. After filling the authentication form, complete the registration form by filling basic information such as candidate’s name, parent’s name, DOB, mobile number, and email address. Check the information again before hitting the ‘submit’ button. On successful registration, a message will appear on the screen prompting the system generated application number. Note down the application number. Complete the application process by entering details such as personal information, educational detail, correspondence details, etc. Review the information carefully before the final submission. After submission, you will be redirected to the document upload page. A success message will appear; your application number and specifications for scanned images to be uploaded will appear on the screen. Candidates are required to upload scanned images of their Photograph and Signature. Click on ‘Upload Scanned Images’ button. Upload the images in the spaces provided. You can check the uploaded images with ‘Preview’ button. Tick the check-box if images are OK.
Click on “Final Upload” for successfully completing the step. After document upload, you will be redirected to the fee payment page. Fee once paid will not be refunded. Additional service charges and GST will be charged. Application Fee Payment Mode - The application fee will be paid through online and offline mode. In the online mode, the fee will be paid through credit/debit card/net banking and in the offline mode, it will be paid through e-challan; cash payment being made at Syndicate/Canara/ICICI bank. Additional processing/banking charges are to be borne by the candidate. Fee paid through any other mode such as demand draft, IPO, money order, etc. will not be accepted. When the application fee is submitted successfully, STATUS of the fee will appear on the page. Take a printout of the confirmation page for future reference. Click on ‘Print Confirmation Page’ button. If the fee is paid by credit/debit card, the amount will be refunded to the same account within a week. In this case, candidates are required to pay the fee once again. If the fee is paid through e-challan, candidates are required to contact the concerned bank for updating the status of the fee. Candidates with minimum 55% marks (without rounding off) in Master’s or equivalent degree in Humanities and Social Science, Electronic Science, Computer Science & Applications, etc. from a recognized university/institution. For candidates belonging to OBC (non-creamy layer)/SC/ST/PWD/Transgender categories, the minimum marks required in Master’s degree are 50%. Candidates who have to appear in the final year examination of Master’s degree or those who have appeared and the result is still awaited are also eligible for the exam. Such candidates are required to secure the minimum percentage. For Junior Research Fellowship - Candidates should not be more than 30 years for the award of JRF. A relaxation of five years is to be provided for candidates belonging to OBC/SC/ST/PWD/Transgender categories and to female candidates. Check out more details on age relaxation in the official information bulletin. For Assistant Professor - There is no upper age limit for Assistant Professor. Paper-I is of general nature and is common for all the students. It assesses the candidates on research/teaching aptitude, reasoning ability, general awareness, and reading comprehension. Paper-II is subject related paper and candidates are advised to appear in their subject of post-graduation. The exam is conducted for various subjects in Humanities and Social Science, Computer Science and Applications, Electronic Science, etc. Candidates are to select only one subject from the list of subjects (preferably the subject of their post-graduation). The syllabus of the exam is prescribed by the University Grants Commission (UGC). Any updates/amendments in the UGC NET June 2019 application process and other details will be updated here as soon as official notification releases. So, stay connected.